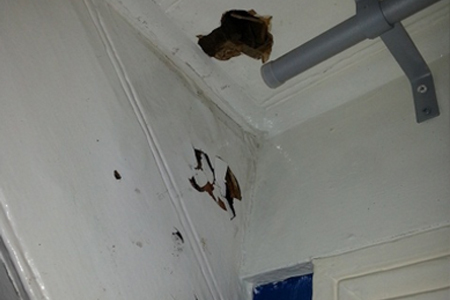 Dirts on the walls show a sign of termite infestation. 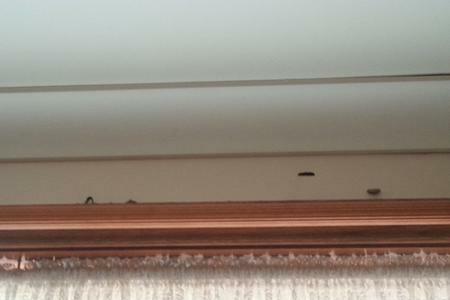 They are found above one of the window frame on the second floor of the buildin by the owner. However, it is a bit too late. 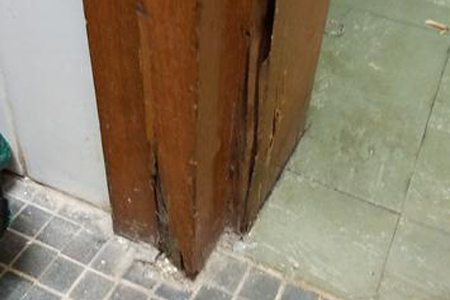 This type of signs indicate extensive damages to the building have been done by termites. This photo is taken on the second floor of an old residential building located in Newtown, NSW. The new owner bought this house around 1 month ago. 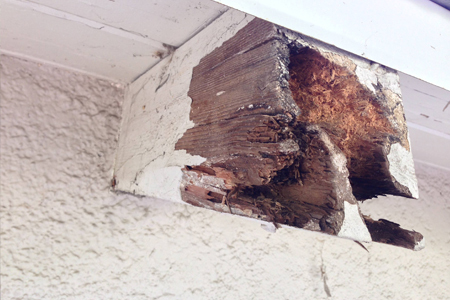 No termite inspection has been carried out before the purchase. 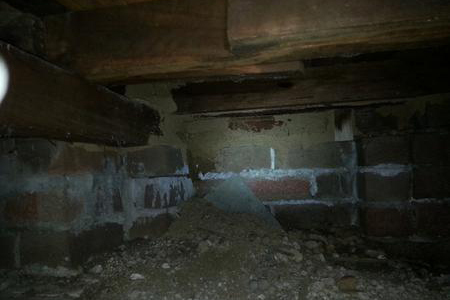 Unrepairable termite damages are found by the workers during renovation. 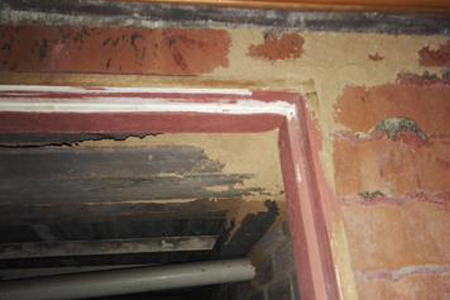 The ceiling and wall corners are damaged by termites. 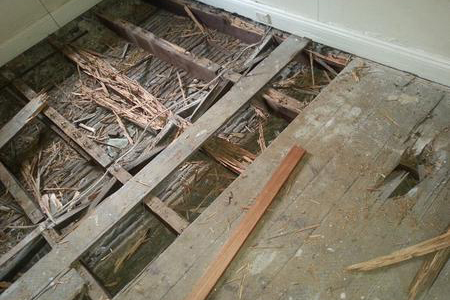 Timber roof truss is their next target. 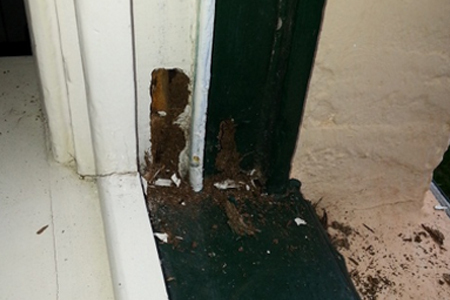 Window frames in this double-brick house are eaten by termites, leaving a paper thin layer of paint. 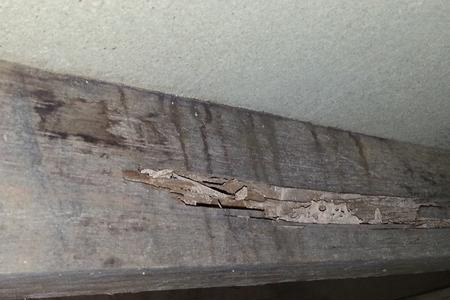 This whole timber beam becomes hollow inside due to termite attacks but it looks fine from outside. 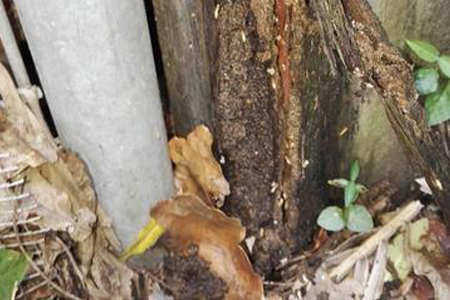 This stack of timber has been eaten by termites.